Winamp is one of the oldest media players around. In spite of its age – or perhaps even because of it – it is still going strong. 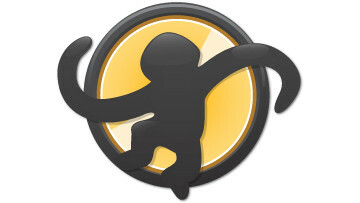 Winamp supports numerous audio and video formats including MIDI, MOD, MPEG-1 audio layers 1 and 2, AAC, M4A, FLAC, WAV, OGG Vorbis, and Windows Media Audio. 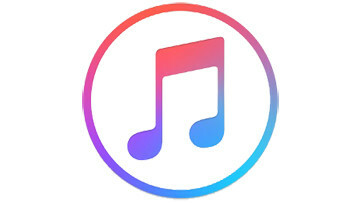 It supports gapless playback for MP3 and AAC, and Replay Gain for volume leveling across tracks. Winamp was released in 1997 originally developed by Justin Frankel, later sold to AOL in 1999 for $80 million. It was then acquired by Radionomy for an undisclosed sum from AOL, back in 2014. 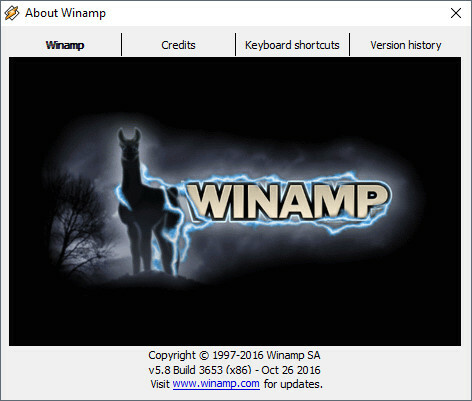 Now, almost 4 years later and ahead of an expected official company announcement, a beta version for the upcoming Winamp 5.8 (winamp58_3653_beta_full_en-us.exe) bearing a build date of October 26, 2016 has apparently been leaked on the web after being uploaded to the public by an anonymous user on a selection of filesharing sites. In terms of changes, the latest update brings a bunch of new features and improvements. 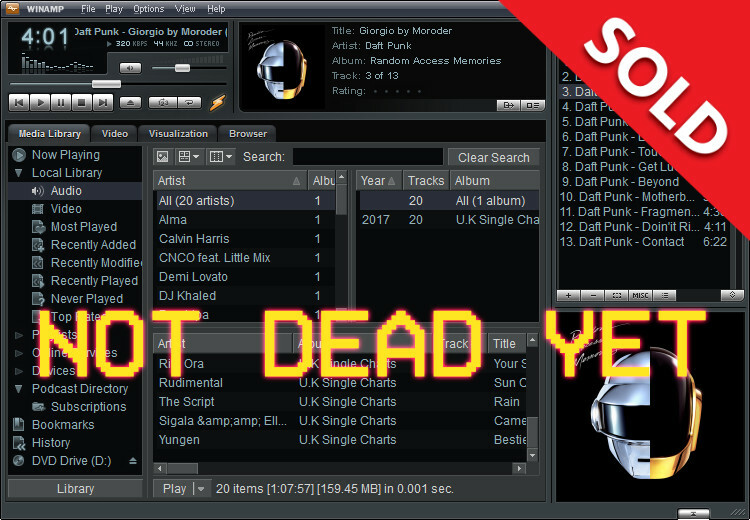 The new version of the popular music player offer improved Windows 10 compatibility, removes the Pro version (Winamp is now 100% freeware) other tweaks, improvements, fixes and optimizations. Keep in mind that Winamp 5.8 is an official release but not actually stable and as such is not supported by Radionomy, thus, it is riddled with numerous bugs and may lead to unforeseen software crashes. If you choose to install it, do so at your own risk. This is a leak. While Neowin does not encourage piracy and does not directly host any of these files, the existence of this material simply cannot be ignored, as it constitutes a vital source for behind-the-scenes information about Winamp past and future development. 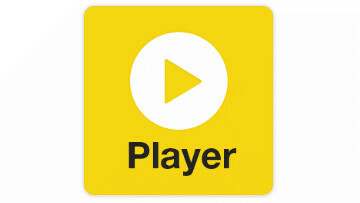 You can grab the latest Winamp 5.8 beta build from the news source. 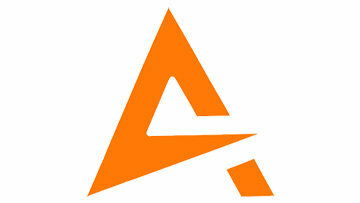 The VirusTotal scan result can be checked online here.